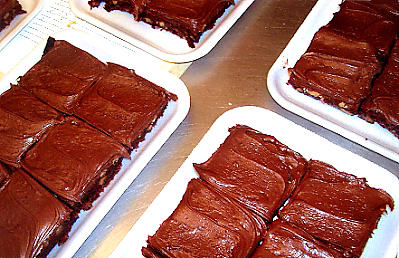 When it comes to sprinkling extra sweetness on a party, nothing does it as well as tasty bars from Emily's Bakery & Deli. 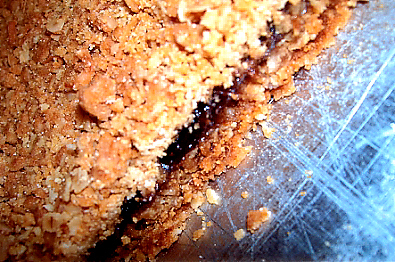 Our professional bakers have perfected a wide array of delicious bars that excite every taste bud known to science. We use the finest ingredients and time-tested recipes to create mouth-watering morsels that will make your next party a memorable event. fruit & covered with streusel. 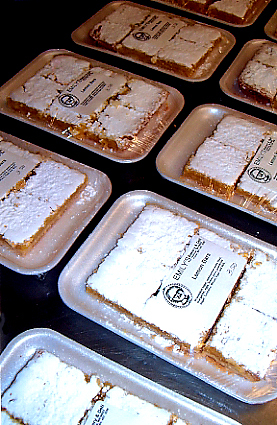 can be ordered by the dozen and we'll find a tray that works best for your needs. Bars can be assorted or you can specify which bars you want -- provided you give us a few days' notice. Bars also can be paired with our gourmet cookies and/or our filled raspberry, apricot and date cookies and/or with our regular bakery cookies. 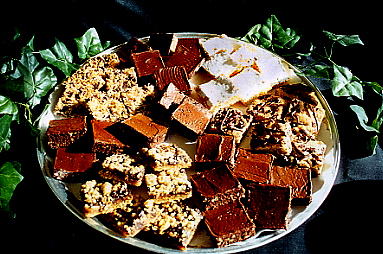 This flexibility allows you to build treat trays that offer your guests numerous choices. Looking for something a little different? Check out the two special bars below. Each bar is individually wrapped and priced by the pound. Baseball Bars -- oats with peanut butter, butterscotch and chocolate. A winning team of ingredients! Prison Bars -- Rice Krispies, peanut butter and chocolate. A breakout delight!